Brian Holman is the Founder and Executive Director of Empower College Prep. Previously, he supervised teachers in general education and special education for grades K-12 as a Program Director for 4 years with Teach For America. Mr. Holman has also served his community as the chair of his church’s outreach team and Secretary of the Diaconate. 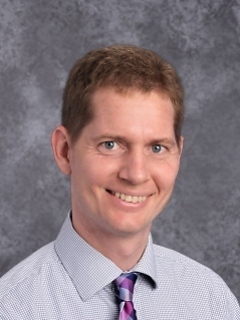 He holds Master’s Degrees in Education Administration from the University of Phoenix and in Curriculum and Instruction from Arizona State University. His Bachelor’s Degree is in Journalism from Indiana University, where he also majored in Political Science and was published for his honors thesis, The Supreme Court and the Establishment Clause. Angela Eich is the Director of Finance and Operations for Empower College Prep. She attended the University of Arizona where she studied Business Economics and Spanish. She received her Bachelors of Science in Business Administration and Masters Degree in Secondary Education. She served as a corps member with Teach For America in 2010 to help ensure that all children have access to a quality education. 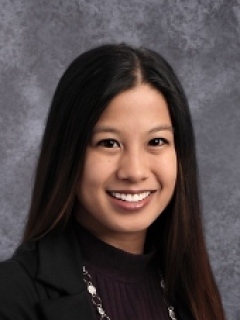 Since then Angela has worked in education as an Instructional Coach, Vice Principal, and Director of Academics for Math and Science. As the Director of Finance and Operations she aims to serve the scholars of Empower College Prep and their families by establishing and overseeing systems that yield a financially strong organization where instruction is supported by talented staff and aligned resources, and the stability of the organization is preserved so that Empower can fulfill its mission of seeing every child to college. Angela Ortega graduated from Grand Canyon University with a bachelor’s degree in Health Care Administration and a minor in Business Administration. During her time at GCU, she participated as treasurer for the Latino Student Union and served as a council member for Diversity Leadership Alliance, which provides free leadership workshops for high school and college students. 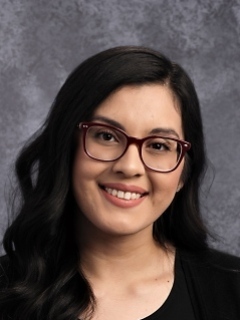 Prior to working as the External Relations Coordinator at Empower, Ms.Ortega served as a Student Recruitment Director for Empower College Prep. 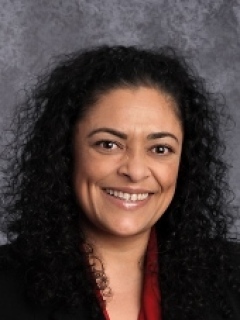 Ms. Ortega is deeply connected to ECP’s mission and is thrilled to be part of Empower. Ms. Carmen A Garcia joined Empower College Prep July 2015. She is a stickler when it comes to her job and won’t bend the rules! Born in Northern California (Bay Area) and raised in Southern California (San Diego). She enjoys spending time with her family (during our breaks) specially with her niece. She enjoys going to the movies, reading a good book and listening to music. Her favorite author is Gabriel Garcia Marquez and her favorite movies are Breakfast at Tiffany’s and Grease. She loves to cook and bake and once in a blue moon will surprise her co-workers with brownies or cake. She has worked in the education industry for over 10 years, university level to elementary level. David Dillman is Empower College Prep’s Manager of Facilities and Operations. He has an interdisciplinary bachelor’s degree, focusing on theology and graphic design, but has always been gifted in the building and management of technological devices and networks. David built Empower College Prep’s network at its inception, and has been managing its growth and operation ever since. He is proud to be part of a school that equips children to succeed, with the student to tech ratio being 1:1 to further that goal. David has a wife and five kids, and he enjoys the fact that he has a direct connection with his eldest three children’s education, as they attend ECP.